EZChrom Elite serves as a chromatography system manager that optimizes the functions of Hitachi HPLC systems and amino acid analyzers. 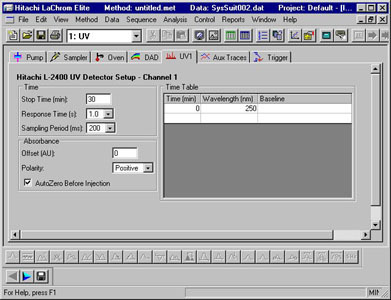 Working in the Windows 2000/XP domain environment, EZChrom Elite provides a client/server system for total user management. Using EZChrom Elite, administrators can have full control of data and user security, facilitating compliance with FDA 21 CFR Part 11. EZChrom Elite can also be used in a standalone environment without networking. Administrators can set up different privileges and profiles for each user. 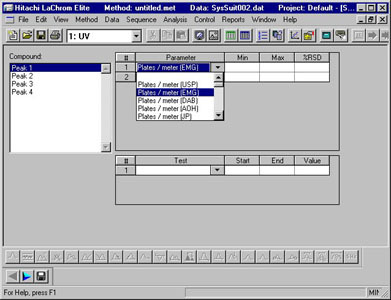 The program stores records of changes to methods and system configuration. Users can attach electronic signatures to reports. With user-friendly GUI, you can set up method parameters for eachHitachi LaChrom Elitemodule. EZChrom Elite also controls the Hitachi L-8800/L-8800A Amino Acid Analyzers and Hitachi LaChrom (D-7000) Series HPLC systems. 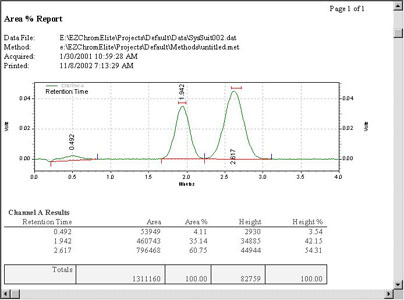 Method parameters used for the analysis will be saved along with the chromatographic data. The Audit Trail function will record every change to methods. 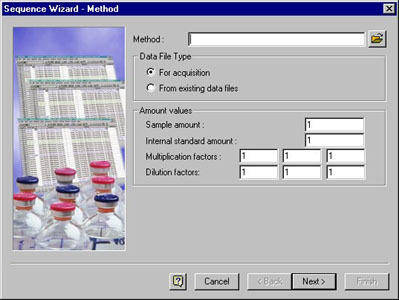 Using a wizard, you can easily set up sequences (vial Nos., injection volumes, etc.) to ease the effort for setting up an analysis using a large number of samples. You can save and reuse sequences. You can use the preview image of a report and edit on it to enter comments and optimize the layout to meet your needs. Once you create a report layout, you can save it in a template file and reuse it later. If you create multiple report templates, you can select the best suited for different purposes. System Evaluation to Check Noise, etc. You can check the system suitability by using QC samples before starting analysis. The program will evaluate the system using noise and baseline peak levels. You can use the System Suitability Test results to determine what should be done to the sequence. If you set a threshold value for a peak, you can specify that samples will be run if the suitability test result clears the threshold.